The opening will be held during the Wine Picnic festival of wine and music on Thursday, June 2. Vinařská Street in Brno didn’t get its name by chance. In the past the street was surrounded by many vineyards. Masaryk University has planted grapes of three varieties on the slope above the building of its A1 student dormitory. In a few years these grapes will be served in the university´s refectories. More than a hundred varieties of wine produced by young local wine growers, a musical programme, a chill-out zone, the opening of a new Masaryk University vineyard – all this and more you will find at a student outdoor wine and music festival. The festival, called Wine Picnic, starts on Thursday, June 2 at 4 pm at Masaryk University´s Vinařská campus. The wine show also comprises a tasting. “The wine-tasting pricelist starts with a student offer of 15 CZK for a glass of wine (100 ml). Participants will have many varieties to choose from,“ said Denisa Králová of Masaryk University´s student club Munie, which plays an active part in organising the festival. The highlight of the festival will be an opening ceremony for a new Masaryk University vineyard. “On the descent above the university Vinařská campus, 70 grapevines grow – the wine varieties of Moravian Muscat, André and Pálava,” said Zdeněk Čížek, director of Masaryk University Accommodation and Catering Services. According to Čížek the first grape harvest will come in three years, but the university is not interested in producing or selling the wine as a business. “If everything goes well we will grow around 140 kilos of grapes and that is not enough to start the wine-making process. We will just offer the grapes in Masaryk University canteens to accompany meals,“ explained Čížek. 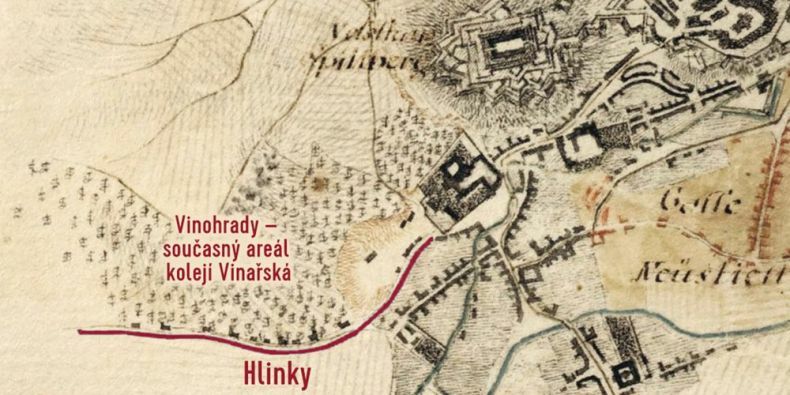 Besides the genius loci of Vinařská Street (in Czech, Vinařská means the street of wine growers) where wine-growing was usual a few centuries ago, the reason for establishing the university vineyard was to show students how wine grows in practice. “We will run the new vineyard together with the Czech Wine Institute which will explain to students how to grow a vineyard and how to identify different varieties of wine,“ Čížek added. An accompanying programme organised by Munie, the students´club, will provide a chill-out zone, a water bar sponsored by Korunní, a café bar and wine contests. “All participants will also get their own wine glass with the Wine Picnic logo for free,“ said Králová. The musical programme will be provided by Von Gramofon, winner of the Brno part of the University Band Contest. The festival will be held on 2 June, from 4 pm till 10 pm at the Vinařská campus. It will cost 200 CZK for students and 300 CZK for others.